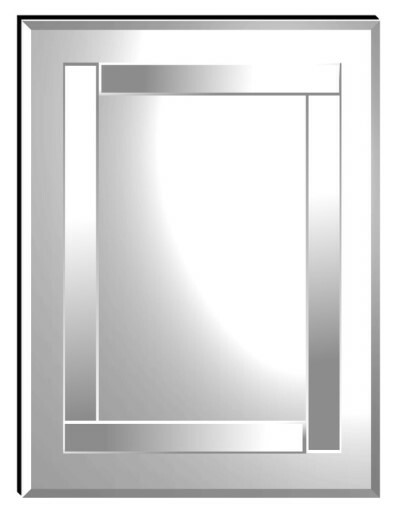 The Athena clear rectangular mirror now available in this larger size has four strips of bevelled mirror that make up the wrap around central design, mounted upon a bevelled mirror. A very stylish quality mirror. Made in England.